These walking tours are held around SoBo's Oval Maidan, with architects as your guides. If you’d love to know more about the heritage and architectural significance of all those gorgeous Art Deco buildings in South Mumbai, we highly recommended signing up for this tour. #LBBTip – Tours are on request only. They prefer groups that are limited to a minimum of 3 people and a maximum of 7. Their Street Food Walk gives you a chance to explore the by-lanes of famous street food hotspots around the city and be introduced to a completely new world of uber delicious food. The Kebab and Curry walk is one of their hits, and if that’s not enough to tempt you already, we’ll have you know that Nigella Lawson was one of their clients and fell in love with the vada pav through one of their tours! Besides this, they also have an Urban Safari Tour which takes you on a jeep ride around the city. #LBBTip – Tours are on request. There's no minimum number and they're happy to schedule a tour even for a solo traveler. 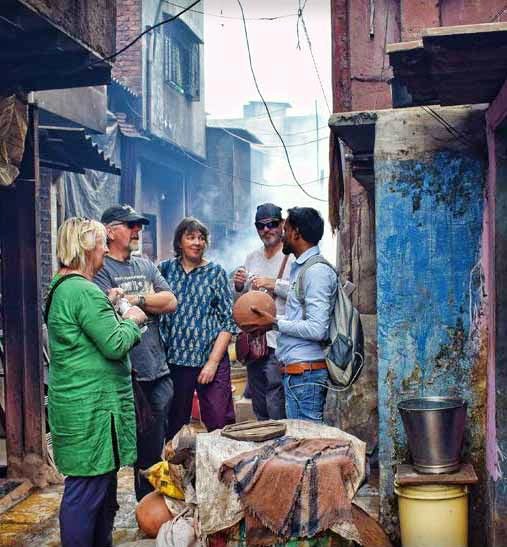 Book yourself on to this tour to see what life is like inside Dharavi lanes. Walk around, visit homes, talk to the local slum dwellers and see how an entire industry has evolved out of their skilled labour. Check out the pottery, recycling, leather tanning and other businesses that have their home here. You'll be guided by a local, and the tour takes 2.5 hours on Foot. You'll need to book ahead and it costs INR 900 per person for a maximum group size of 6. The Inheritage Project regularly conducts themed tours of the city and its fascinating neighborhoods. These include everything from Modern Mumbai: Walking Through the 20th Century to Walking with Words : A Reader's Heritage Walk. Experience the city's diverse cultural landscapes through these engaging, and educational tours.